<<Back to main media page. Reliable facts and information on Rheumatoid Arthritis are seldom presented in the media. Common myths are perpetuated, often as a result of hasty reporting or unreliable sources. It takes time to dig into high quality sources to find accurate information on Rheumatoid Disease; this section is intended to assist that process. Please respect copyright rules, and credit sources appropriately. Click to print or save 10 Key Points on RA. 1. Rheumatoid is not a type of arthritis. 2. Most people with moderate to severe Rheumatoid Disease do not enjoy an exceptional response to currently available treatments. 3. Rheumatoid Arthritis is a heterogeneous disease. RA may be mildly to severely active, and change pattern over time in a given patient. Some experience a flaring pattern with intervening remissions, and others, constant disease activity. 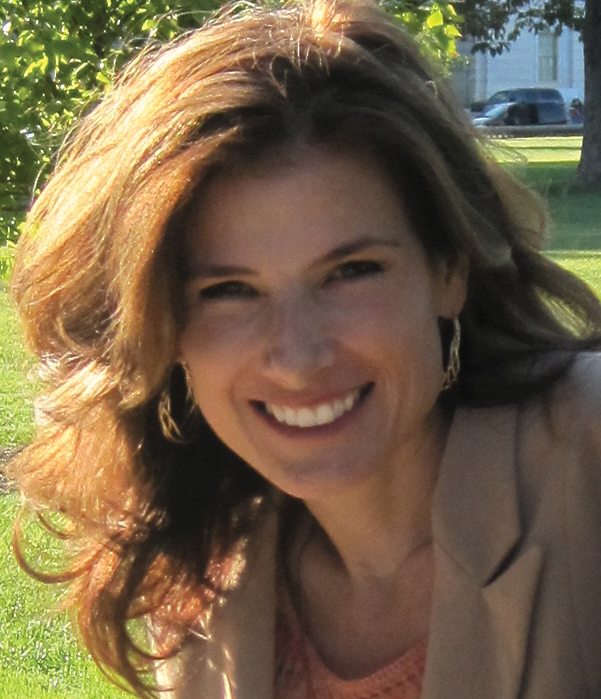 Mild RA occurs less frequently and is more easily controlled with medications. Unfortunately, systemic disease may progress even when joint symptoms diminish. The U.S. funds research on Rheumatoid Arthritis at a per-patient rate of about one-twelfth of similar diseases or those with comparable impact. The American College of Rheumatology found in 2007 “research funding for RA averages as little as $25.90 per patient and remains significantly low compared to other chronic diseases that affect far fewer people like lupus, diabetes and multiple sclerosis, which average $330.00 per patient.”8 During recent years, the Rheumatoid Patient Foundation analyzed funding by National Institutes of Health (NIH) with similar findings. 5. RA is often an invisible illness. 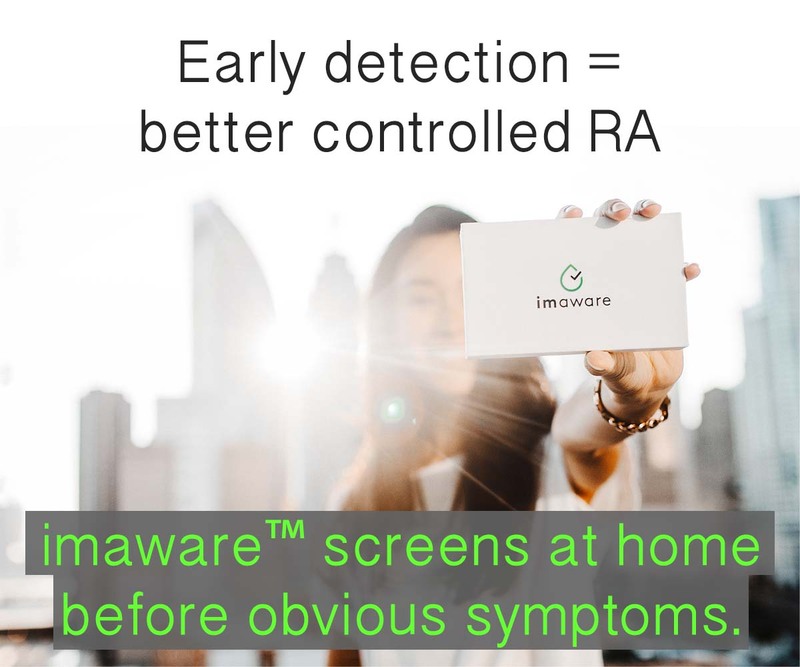 Most people with RA tend to be private about symptoms or even minimize symptoms.9,10 Common symptoms such as fever, fatigue, loss of appetite, stiffness, pain, weakness, and dry eyes are not obvious to others. Unfortunately, many suppose people with Rheumatoid Disease (PRD) are merely lazy, when they are privately struggling to perform daily tasks. 6. RA can be suddenly disabling. Although damage and deformities often occur gradually, inflammation of tendons and other supporting tissues can cause sudden disability, making it difficult to accomplish self-care activities. Many PRD are able to maintain vocational responsibilities, at the cost of hobbies and other avocational activities. 7. Early, aggressive treatment is important. 8. Rheumatoid arthritis remission is rare. 9. Onset of Rheumatoid Disease is extremely variable. 10. Rheumatoid Disease has created a mortality gap. 10 Stuart, G. Private world of pain. London: Allen and Unwin; 1953. 188 p.
How many people really have Rheumatoid Arthritis? The official ribbon for Rheumatoid Disease! 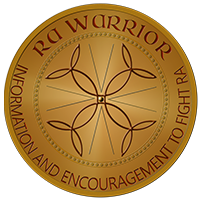 NOTE: The upcoming Rheumatoid Arthritis Warrior book documenting the medical history of Rheumatoid Disease (RD) will also provide substantial resources to get the facts on RD. That 20% improvement statistic in point 2 makes sense to me. It took me months to realize that the Humira was having a positive effect and thinking back 20% improved describes it well. That’s much better than nothing at all because it extended my day and made it possible to exercise more effectively, but it was not a miracle.